Light Book reflects my abiding fascination with books. Light Book is a handmade sphere and reading lamp that you can open and close like a real book and position horizontally or vertically. 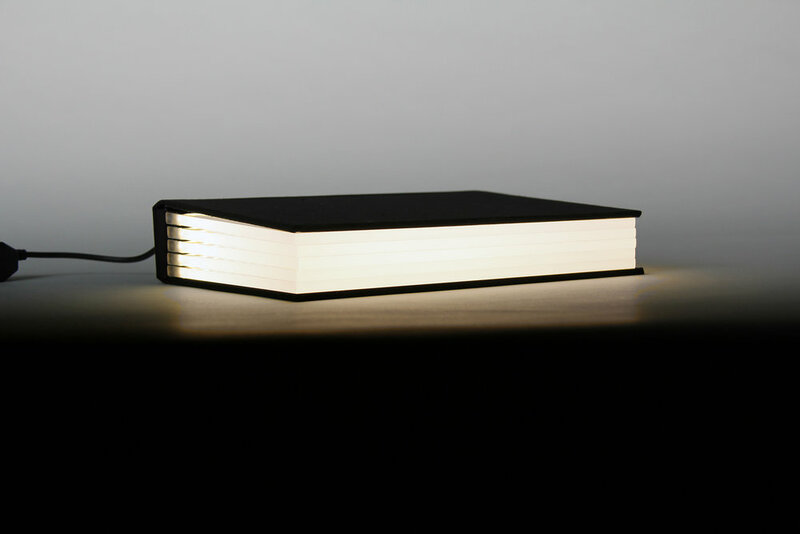 Light Book is made of 5 acrylic pages, 6mm, with white 3500 K dimmable LED lights. The cover is handmade in black linen. Light Book is a small, precious lighting object that can light your space, gifting it with a surprisingly different, poetic dimension.
" 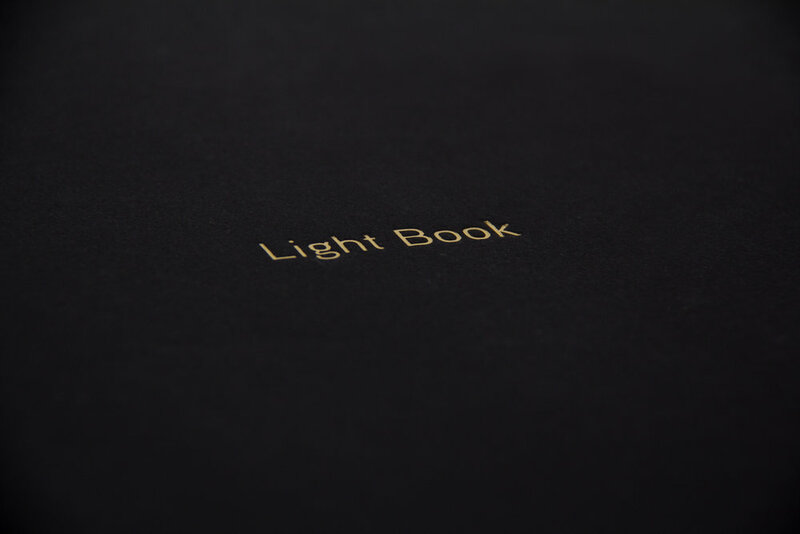 The idea of Light Book arose some years ago. Since I was a child, I had always been surrounded and fascinated by books, because they could absorb me into another world. There are always laying some books next to me when I fall asleep or on my night table. A book is a strong, silent presence that invites you to open it to discover the mysteries inside... What then is more beautiful than a light in the dark coming from a door which opens on the Realm of Dreams?...That is how arose the idea of making a Light Book. I wanted to bring light into the books and to attract people to look inside... "